Well the practice is over and in just a few hours from now the serious business begins. 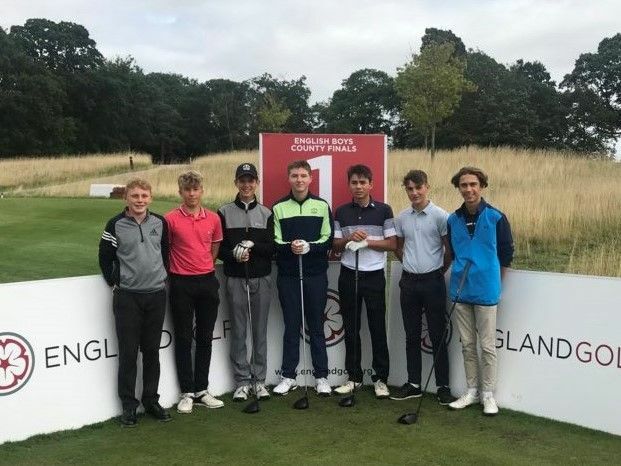 Cornwall set out first thing tomorrow morning (Tuesday) against Lincolnshire on Day 1 of the England Golf Boys County Finals. After a 10 hour journey from the South West to the North East on Sunday - carried out in style thanks to the generosity of the Sunday Independent Newspaper, on the Truro City FC coach - the team arrived at their base in Darlington. 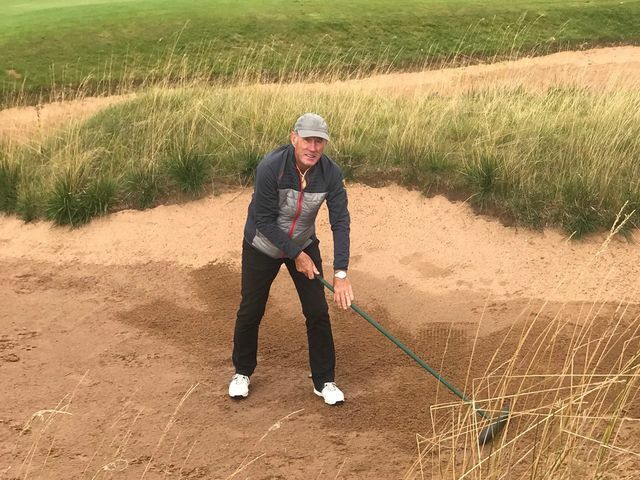 A good night's rest was followed today by their first sight of the Rockliffe Hall course and a practice round. The team are pictured about to set out on the practice round (L to R: Thomas Stephens,Liam Wilson, Cameron Gurd, Joe Reynard, George Leigh, Ewan Warren and George Law). Leading the way for Cornwall in the first of the three morning foursomes at 8.00am will be the Perranporth pairing of Cameron Gurd and George Law. They will be followed by another club pairing as Trevose's George Leigh teams with Joe Reynard (8.08am). And in the third game (8.16am) yet another club pairing take to the course as the Truro duo of Liam Wilson and Thomas Stephens play together. In the other match taking place tomorrow Kent face Yorkshire. The Cornwall team are managed by Gary Andrew and assistant Derek Law and are accompanied by CGU President Mike Ellis and CGU Juniors President Alan Lund. The Championship comprises match play on a “Round Robin” basis over 3 days between representative county teams from each of the four mens regional groups. Each day’s play will see see two matches each consisting of three games of 18 hole foursomes in the morning and six games of 18 hole singles in the afternoon. The County representing each Group shall enter a team of seven players. From the players selected, any six may play in the foursomes and any six in the singles of each match.